Aad fort is very small and was mainly used as a watch tower to guard the province and trade routes between Sinnar and Igatpuri. Locals believe this fort was built in the early 1st century. There is a Sharabh sculpture inside a water tank on the fort. on the lower side of the eastern edge there is a cave and a water tank. At present many wind energy companies have installed their windmills in the adjoining area. It is an easy trek from the base village Aadwadi and usually takes about 30 mins. The top of fort is a wide plateau with about three water tanks on it. The cave can be approached via a staircase and a small rock patch. The cave is worth a visit with a small compartment next to it. There is a water tank next to the cave and it happens to be the only potable source of water. There are also some old structures on the fort. There are 2 route to reach the top. The one is from Madhali Aadwadi and is easy but long. The other is from Varchi Aadwadi and is steep but convinient than the other and takes 30 minutes. 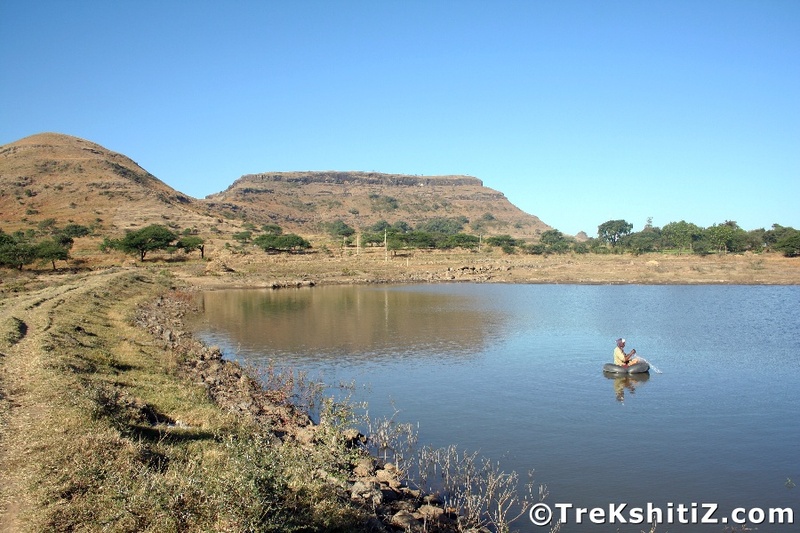 Forts like Patta, Aundha, Dubergad, Songad, Parvatgad, Kalsubai peak etc can be seen from top. The cave and compartment can easily accommodate about 20 people. Available in the water tanks.